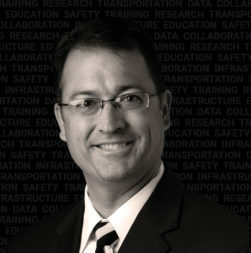 Jason Wager is a transportation industry veteran with over 20 years’ experience in government affairs and public policy in transportation-related fields. 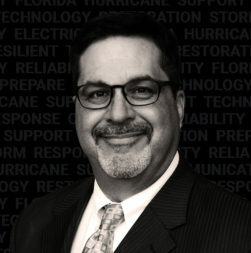 Currently, he holds the primary role of director of policy & government relations for the Associated Pennsylvania Constructors (APC) and is also the managing director of the Pennsylvania Highway Information Association (PHIA). Although one is a trade association and the other is an educational group, they both have a focus on public safety. Flagger Force: Can you tell us a bit about what the APC and PHIA do? Jason Wagner: The APC is my primary “hat”. In this organization, we advocate government affairs on behalf of transportation industry stakeholders. We assist in developing policies related to things like work safety and infrastructure funding for association members. PHIA, though housed in the same building as the APC, is primarily focused on education—informing the public and policy makers on the value of a well-funded highway system. PHIA’s stakeholder focus is centered mainly on highway users. PHIA is a broader based, public organization where the APC is more specific to the construction element of highways. PHIA is engaged in research and data collection and the pursuit of information that’s important for understanding the pain points affecting our highways. They kind of work together, so it’s not difficult to manage the two. Flagger Force: When did PHIA originate? Are there other organizations like it in other states? Jason Wagner: PHIA was originally created in 1960 in response to President Eisenhower’s proposed interstate highway system. Eisenhower saw Germany’s Autobahn during WWII and realized America needed something similar from a national defense and economic standpoint. American roads prior to WWII were smaller and designed for local travel. Creating a national highway structure was a bold idea that required massive resources. Eisenhower proposed a $0.03 gas tax to help pay for the construction, which was very controversial. So, the purpose of PHIA, at that time, was to simply help people understand the purpose and value of an interstate highway system. PHIA’s founding fathers held public meetings to educate people about interstate systems, so they could embrace the concept. PHIA is somewhat unique—only a few other states created a similar organization. For nearly 60 years, we have been a thought leader throughout the evolution of the nation’s highway system. We must continue to maintain and preserve the value of this important infrastructure. Flagger Force: What issues are currently concerning the APC? 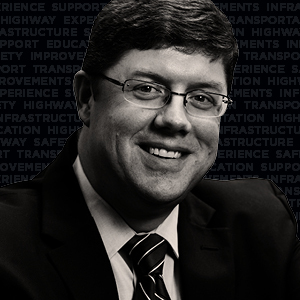 Jason Wagner: At a state level, one of the biggest issues we’ve been monitoring is the way we fund highway construction and maintenance as well as how we fund our state police. A large source of funding comes from having a state motor license fund, which is something unique to Pennsylvania. There is much discussion about how to manage the growing funding needs of an aging highway system as well as a state police force that is taking on a greater role in supporting local police suffering from funding shortages. All must be maintained for the support of a healthy economy and for the safety of the public. Of course, state and federal gas taxes are important funding as well. We are considering the long-term impact of fuel efficient and alternative fueled vehicles, smart vehicles, ride shares, and changes in people’s travel needs due to living and working locations. As changes in vehicle ownership, technology, and the demand for petroleum-based fuels compound, it puts into question the legacy of funding through motor licensing and gas taxes. These are issues the APC is focused on for the future of highways and the related economic and public impacts. Flagger Force: What’s the biggest issue you’ve seen regarding highway safety? Jason Wagner: Speed is the leading factor in highway deaths, but distracted driving is also a major contributing factor that is on the rise. These behaviors pose the greatest risk to motorists as well as highway workers. The APC is supporting legislation in Pennsylvania to create a five-year trial program for placing automated enforcement in active work zones on limited access highways. We see other states, like Maryland, engaged in similar efforts with measured success. Flagger Force: As you well know, National Work Zone Awareness Week (NWZAW) takes place annually in the spring. What is the APC and PHIA’s approach to increasing work zone awareness? Jason Wagner: In years past, we’ve tried to provide a human element by having members of both organizations who’ve been impacted personally, share their stories. We’ve also partnered for public impact campaigns. However, trying to get the public to think about work zones in a different way is a significant challenge. I honestly believe NWZAW, which ran April 9–13 this year, needs a lot more support. For the most part, people just take the transportation system for granted. We use it every day in some shape or form, and work zones have become part of the background noise; something to ignore. This is frustrating because this is precisely the time when drivers must pay attention and slow down—things are out of the norm and people are working nearby. Work zones indicate progress and dismissing their importance is a callus rebuke of the lives and livelihoods they impact. Flagger Force: What the does the future hold for the APC and PHIA? The highway system is representative of the whole transportation system as it is all deeply connected. All the stakeholders we represent are extremely diverse: road contractors, the traveling public, business leaders, and beyond, yet they all depend on a well-funded and well-maintained highway system to thrive. Our job continues to be that of an advocate for the safety and welfare of our members by preserving public awareness of the important and inherent value this infrastructure offers to everyone. The visionaries that built the interstate system after WWII faced a large challenge, and the APC and PHIA must carry their torch through ever-changing economic and technological conditions. I know we are up to the challenge.